It's confirmed! Taiwan will have their own version of Song-Song couple's "Descendants of the Sun" after the government reportedly requested for the remake to raise the spirits of their military. Red Velvet Joy's appointment as the female lead in "The Liar and His Lover" has been making rounds on the internet for the past few months. Many netizens questioned the idol's ability, considering that this will be her first acting project. "Defendant" actors Kim Min Suk, Oh Dae Hwan, Woo Hyun and Jo Jae Ryong took the streets of Korea to fulfill a special ratings promise for successfully crossing the 25 percent viewership on Tuesday. 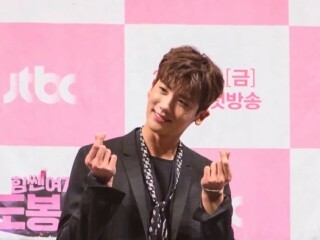 The highly anticipated tvN drama, "The Liar and His Lover," will finally start airing tonight at 11:00 p.m.
Park Hyung Sik and Park Bo Young have been receiving much love from the viewers of "Strong Woman Do Bong Soon" for their onscreen chemistry. On Feb. 24, 2016, a new series titled "Descendants of the Sun" introduced us to one of the most well-loved onscreen couples in the industry, the Song-Song couple, which is comprised of actors Song Hye Kyo and Song Joong Ki. "Strong Woman Do Bong Soon" continues to grow in terms of viewership since it started on Feb. 24. 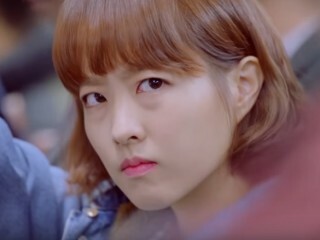 But despite their ongoing success, the drama's main cast admitted they never expected that the series would receive so much love from the viewers. More than its funny plot, the JTBC series has been receiving praises for promoting gender equality and women empowerment. Red Velvet's Joy and Lee Hyun Woo are all set to make our hearts flutter in "The Liar and His Lover." In fact, the two assured fans of their onscreen chemistry in the newest tvN drama. "Defendant" has maintained its lead against "Rebel: Thief Who Stole The People" and "Ms. Perfect" after Monday broadcasts.